The next round of workshops introducing analog photography and the StattLab community darkroom is set for Wednesday March 11th and 18th at 15:00. 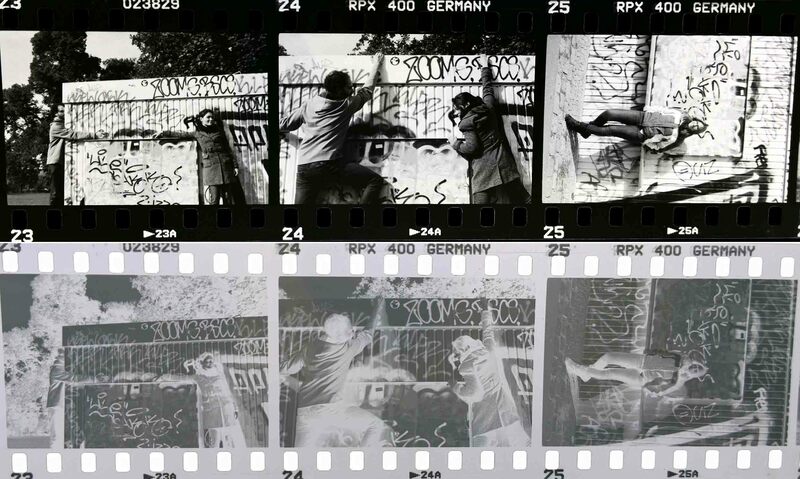 In this 2-part workshop, you will learn how to develop film by hand in the darkroom, make contact prints, and of course enlarge photographs. Bring a roll of exposed black and white film to the first workshop and we will develop it together All workshops are held at StattLab @ StattBad Wedding, Gerichtstr. 65. Cost is 25€ including materials. Sign up by sending an email . This entry was posted in black and white, courses, Dakroom, Uncategorized on March 4, 2015 by Analog Photography Berlin. Time for the next workshop! On Thursday, August 7th at 13:00 there will be a “Intro to the Darkroom” workshop: bring a roll of exposed black and white film, and we will develop it together in the workshop. After developing, we will make contact prints of the negatives – sticking your toes into the world of analog printing, too. All workshops are held at StattLab @ StattBad Wedding, Gerichtstr. 65. Cost is 25€ including materials. Sign up by sending an email . This entry was posted in courses, Dakroom and tagged 2014, august, learn, workshop on August 3, 2014 by Analog Photography Berlin. Workshops moving to StattLab Wedding on 1 June! Big news for the Analog Photography Berlin community: on 1 June, the workshops will be moving to the renovated StattLAB Wedding, in the building of StattBad. The process has been going on for some months now, and the move is nearly complete. This grew out of many students asking where they can keep printing after they have learned a bit of analog photography. 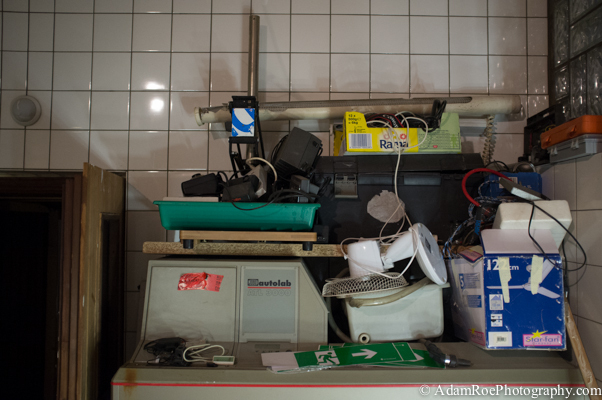 And now I can answer: in the darkroom at StattLab, a community-oriented photo lab in Berlin. More concrete information on workshops will follow in the coming weeks – it’ll take some time to make the move. There will likely be a monthly intro workshop, starting in the beginning of July. After participating in the workshops, you can choose to become a member of the lab and work there as much as you want! Come check out a one-night exhibition we are having this Thursday evening, 22 May, starting at 18:00. It’ll be a relaxed evening to introduce the labs, the people, and the plans. 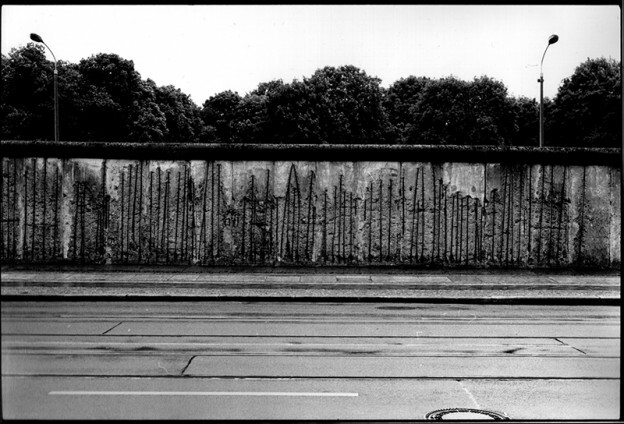 This entry was posted in courses, Dakroom on May 18, 2014 by Analog Photography Berlin. 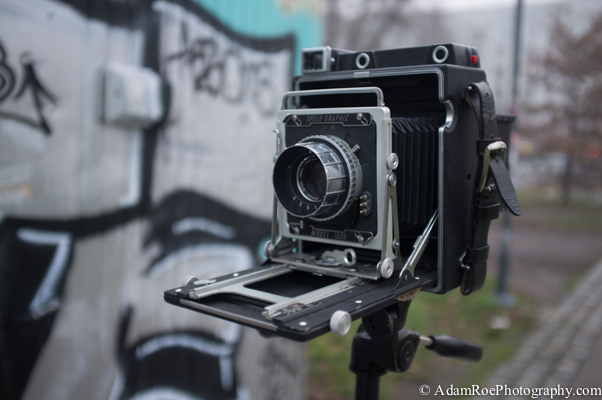 It is time to live the dream: in this workshop you will learn how to use a large format film camera, a 4×5″ View Camera. This unique type of camera has been used for everything from press photography in the 1950’s to fine art landscapes, and it still in use today. We will go over how to load film and use the camera, using the tilt-shift mechanisms of a view camera, and of course take some pictures. 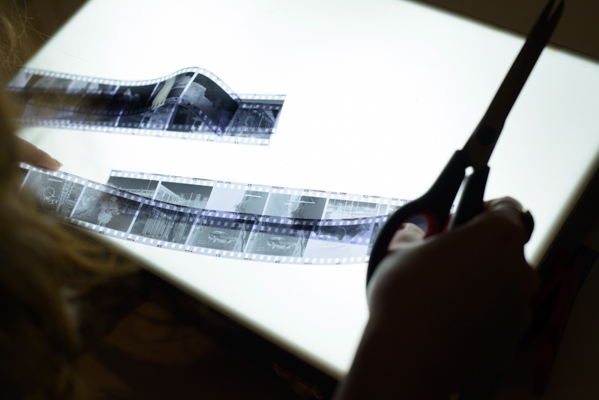 We will develop single sheets of film in trays in complete darkness, allowing each shot to be developed individually. At the end we will make contact prints of the negatives. workshop. It is also likely to take 7-8 hours. We will begin at 13:00 as usual and try to finish by 21:00. Workshops take place at the lab at Cotheniusstr. 5, Berlin-Friedrichshain. Questions Ready to sign up? Send an email. The 4×5″ view camera from the 1950’s that we’ll use for the workshop. Sweet. 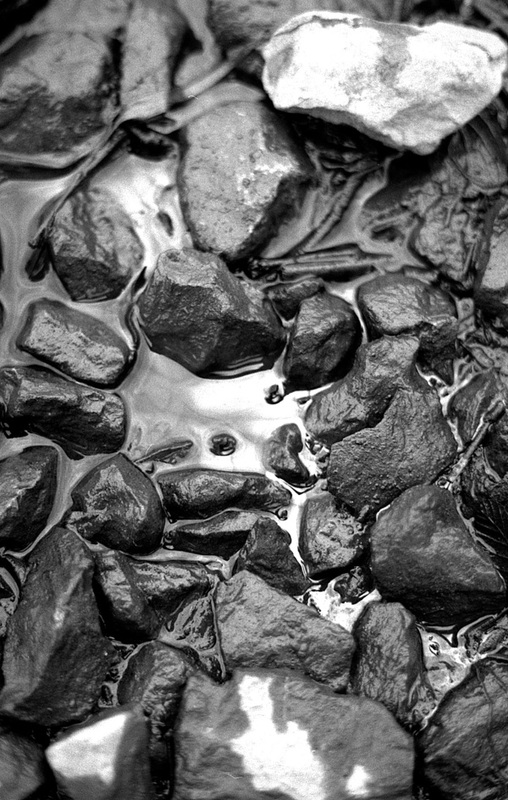 This entry was posted in black and white, courses, Dakroom on February 21, 2014 by Analog Photography Berlin. 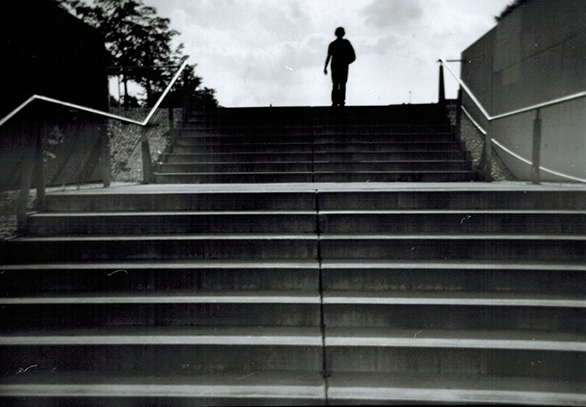 Pinhole Photography Workshop this Friday, 13 December! Learn the most hands-on, DIY, back-to-the-basics approach to photography there is: Pinhole Photography. This Friday, 13 December at 11:00 there will be a workshop on making a camera out of a shoebox. Or one of those plastic just-add-water soup packages. The picture above came out of a soup package. Really. The workshop will last about six hours, beginning at 11:00. Participation fee is 20 euros including materials – paper, chemistry, construction supplies – but please, bring your own shoebox or soup thing. I can only buy so many shoes. After going over the basics of why this works at all (essentially, a brief history of the camera), you will be guided through building a camera yourself, from the box and basic supplies. At that point we will go into the darkroom, load our cameras, and then go out on the street and shoot. We’ll develop the pictures right away, and we should have enough time (read: daylight) to do this a couple of times. In the end, participants can take home not only their own cameras but also the photos made in them and hand-developed in the darkroom. It’ll be fun! 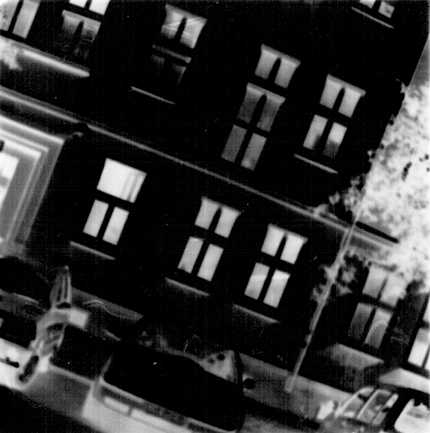 Scan of a 5x5cm print from a pinhole camera. This came out of a soup package! This entry was posted in black and white, courses, pinhole and tagged black and white, diy, photographers on tumblr, pinhole, workshop on December 9, 2013 by Analog Photography Berlin. Announcing: Film Development Workshop, Sunday 17 November at 13:00 in Berlin! 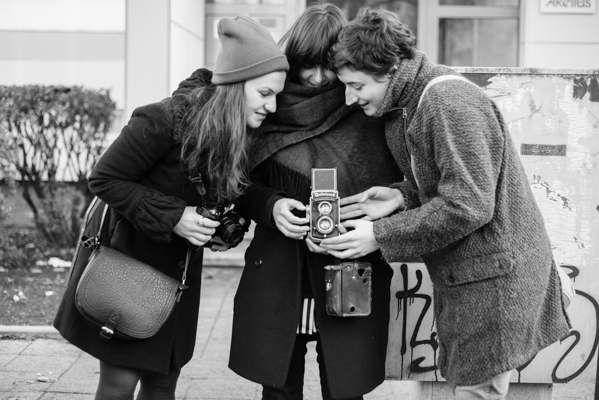 Analog Photography Berlin is pleased to announce The Real Hipstamtlc workshop on Sunday, 17 November at 13:00, where you can learn to exposure and develop your own black and white film! We will spend an hour or two discussing the basics of exposure and the key differences between digital and analog photography, then we’ll go out and shoot in inspiring Friedrichshain. Coming back to the lab, we’ll warm up with some tea and then start developing film in the darkroom. By the end of the day, participants will have exposed and develop their own film, and can take their negatives home with them! This entry was posted in black and white, courses, Dakroom and tagged analogue, black and white, darkroom, develop film, photographers on tumblr, photography on November 8, 2013 by Analog Photography Berlin.